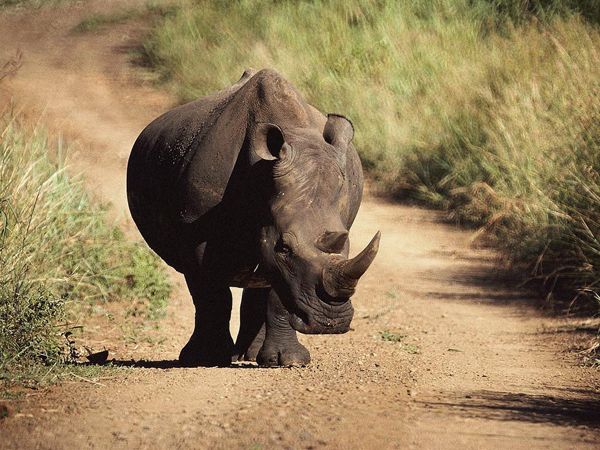 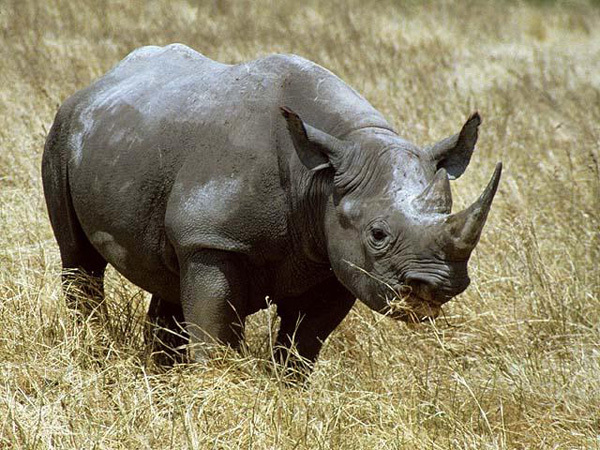 Rhinos are usually solitary as adults. 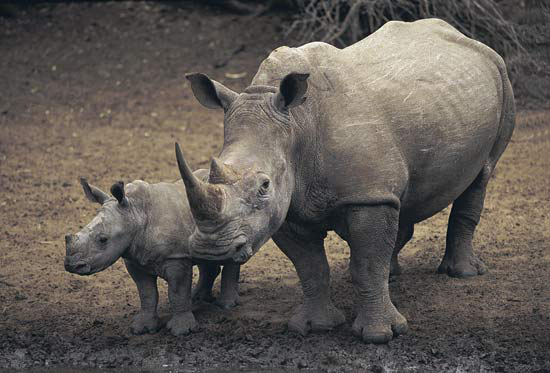 The most stable association is that of a mother and calf which are usually found within a well defined home range. 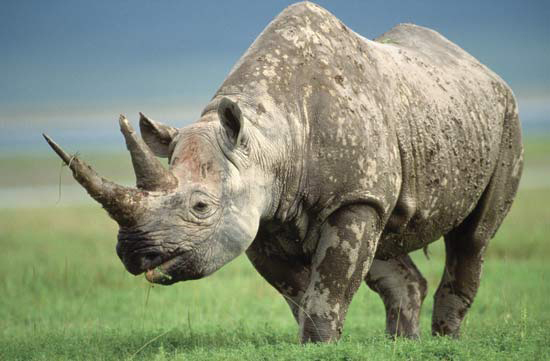 Black rhinos, which can be seen in Tanzania, are browsers and have pointed prehensile lips adapted for browsing off thorny shrubs. 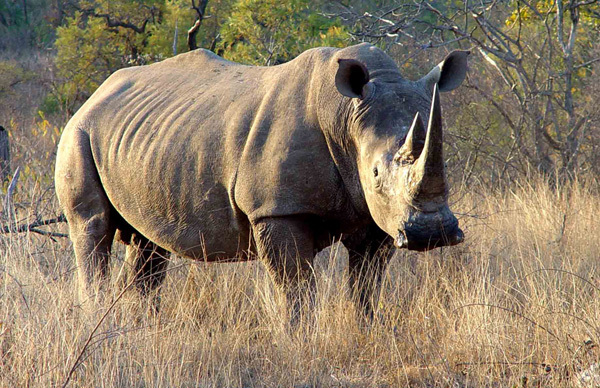 They feed at night, dawn, and dusk, resting during the heat of the day. 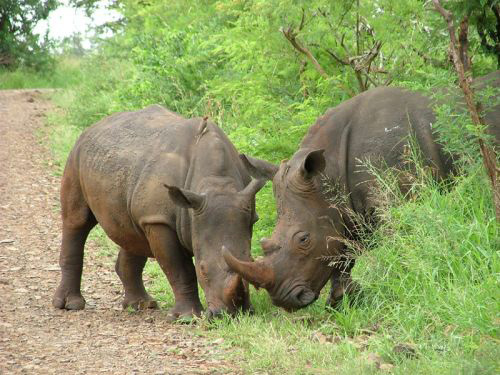 They have a good sense of hearing and smell (scenting over several km) but their sight is poor after more than 30 metres. 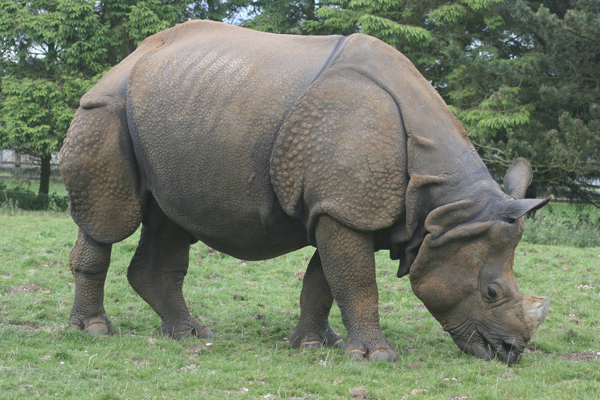 Rhinos weigh up to 1600kgs and can live up to 40 years. 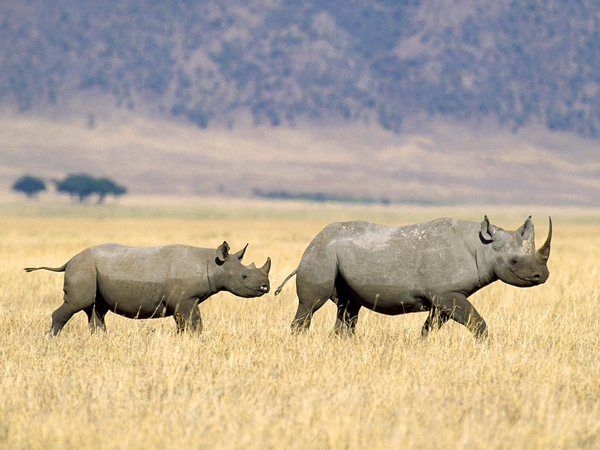 Rhinos are an endangered species, but can easily be observed in the Ngorongoro Crater and possibly in the Selous Reserve.